If you are looking forward to your upcoming wedding or event but searching for the perfect vendors to take care of all the multiple tasks involved has you overly stressed, you have found the right place. Occasions to Celebrate is a full service event management company. We are enthusiastic, experienced, and resourceful professionals who can create just the right event for you or your organization. Our policy of step-by-step planning, combined with on-site management, and knowledge in many areas of design is further evidence of the care we take in tackling each project. At OTC, we offer the ease of one stop shopping with one on one personalized service. 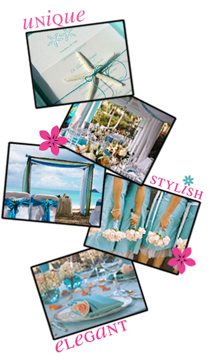 We guide you through the planning and coordinating of your wedding or event. 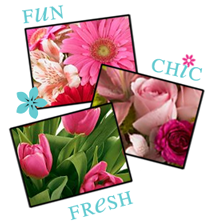 We customize your décor and wedding flowers to fit your unique personality and tastes as well as budget. We offer a wide variety of invitations and other printed and personalized items. We provide wedding and event equipment rentals, and even tuxedos! OTC takes it a step further by working as an extension of you, on site on your special day, to ensure that all your wishes come true. From Set up to Clean up, OTC is here to turn your dreams into reality! Unsurpassed in quality, design, value, style and service, we bring something new, fresh and fun to tired and traditional floral design and gift bouquets. We take pride in being different. From whimsy to elegance... our designs are sure to please. Send Unique. Send Smiles. Send Today. Servicing New Bern and Surrounding Areas, Hospitals, Nursing & Funeral homes. © 2009 Occasions To Celebrate. All Rights Reserved.